If you still have problems, please let us know, by sending an email to support@hyperms.com Thank you! Hypermedia Systems Ltd. develops and markets next-generation telecommunication products. The world and technology as we know it is rapidy changing and now things are easier than they have ever been before. We are busy people with busy on the go lifestyles that breed the need for us to be able to access information and send messages or information almost automatically. We are completely addicted to our smart phones and frankly, why woudn’t we be? Smart phones have completely changed the world as we know it and now we expect everyone and everything to be at our fingertips and at our demand. We’ve become pretty spoiled actually, but it is the way things are now and Hypermedia, has been working around the clock to make sure we can provide you the technology you need to keep running your busy life. We intend to keep up and continue being an industry leader in technological advancements and systems to make our lives more moble, more simple, and more fun. The way we choose to make payments these days has really changed from the way it used to be. I remember when I was a kid, I watched my father sit at the kitchen table once or twice a month and he would open bill after bill after bill. He’d start at the top of the stack and would hand write out checks to each company. Then, with care, he would put the checks in an envelope folded in the statement and adress the envelope back to the company. He would then lick a stamp and put it on the envelope and then put that on his pile of “outgoing” mail. Once he had done that, he would pull out his check book register and make the necessary adjustments to the bank balance in his check book. Once he had made a note of the change in the bank balance and rebalanced the check book, he would start the process all over again and start tackling the next bill on the top of the pile. That process lasted a couple of hours and he meticulously opened, paid, mailed, and recorded every bill and did it over and over again. It looked like the most boring thing in the world to a little kid, but I’ll give him credit- the man paid attention to detail. I admire him for that. Things aren’t the way they used to be any more. The way we pay bills and transfer money to and from our accounts is totally different now than it was back then. Due to the technological advancements of cell phones and now smart phones, the entire enviornment has changed and the process of the way we do things is vastly different. The way we use and transfer money is no different. In fact, making payments mobally has come a long way! Just a few short years ago, no one would have imagined that you could send or receive money using just a few clicks on your phone. Thanks to the new USSD Gateways that offer USSD payment systems, all of that has changed. Hypermedia Systems has developed THE platform for mobile payment systems that has never before seen features and is more user friendly than ever. We have a full sql/oracle integration and we can support multi operators at any given time and multiple payments at any given time. We have builld our system to be able to grow and scale at will so you will never have to worry about a crash or down time due to too many payment transactions going through at once. We want our system to be simple and easy to use so we have tried to think through all of the nice features that our users would want to have. We have built-in efficient and functional transaction status queries. We made sure we added a top of the line queue management system and we have given our top priority to building the most robust reduncancy solutions available; so you’ll never have to worry about a glitchy system- no matter what the situation is. We have also taken the time to build in a banking topup gateway and revolutionized the platform with our stk gateway. Now that you have a general overview of what we are and how we operatate, let’s dive in and and we’ll give you more details. It can be hard to understand some of the ins and outs of what we said above. We know, we get it. It’s a lot of techie talk and jargon that sometimes is hard to follow. 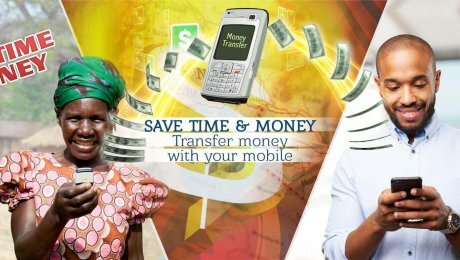 A USSD mobile payment gateway is a way to be able to send and receive funds on your phone instead of having to go to your bank, atm, kiosk or shops. You can also use the system to purchase your SIM card charges so you don’t have to keep a bunch of SIM cards laying around for use at a later date. The previous example was just one example of how our gateway might simplify your life. If you want to pay some bills, you don’t have to go to your bank or lick a stamp and send your check in through the mail. With our new mobile payment gateway, everything is available on-demand when you need it. We have helped to get rid of old paper clutter, bills, statements, and balancing checkbooks and all of the other things you used to have to do to manage and run your household and life. Now, everything is right in the palm of your hand and you can stay up to date at all times with your finances, bills, bank accounts, and obligations. SQL/Oracle Intergration- provides our system an interaface that integrated with Oracle. That way you can browse, manage your database applications and monitor. You can perform other Oracle tasks like use, import and export applications, have customer exception reports, tune your queries, drop applications, deploy applications and modify your applications. You can also export pages. Multiple operator supports- you never have to worry about our system crashing with too many people trying to use the application at the same time. We can grow and expand and will and have the availability to support multiple users across the globe with our bandwidth. Multiple payment transactions- similar to multiple user support, we also offer multiple payment support. You can send and receive payments at the same time with no hassle and no system confusion. We have built our system to allow for multiple actions at once. We have built in a transaction status query so you never have to wonder what the status of the transaction is. That is automatically updated every few minutes to give you the most up to date information available. We have a robust queue management and a priority redundancy solution in place. With increased sophistication of technology and increased frequency of use, the last thing you want is a Denial of Service (DoS) or a worm attack. Service availbility is a crucial element for any technology and our network infrastructure is designed to give you high availability and give a source of redundancy so that you have access to the system when you need it, every time with little to no down time. We offer a banking topup gateway as well. To enable rich integration between banks and our platform. We are a top provider of prepaid and banking channels. They are readily configured and created with our platforms interface. Our gateway functions as a middleware component that will safely transfer money from your bank to your destination and will consider all cancellations, inquiries, or adjustments made on every transaction. A USSD gateway allows bi-directional and high-speed communications to run between applications and mobile handsets. It is giving people all over the world the speed, convenience and simple availability that has changed the way most of us live our lives. It can support millions of users at once and makes it the ideal way for most people to access their services and accounts from abroad, the road, or home. Our USSD gateway is cost effective, simple, and user friendly. Our program is intuitive and the user interface is simple and appealing to look at. So, whether you need to interact with different services like balance inquiries, bill paying, pre-paid account refilling, callback services, sports information or stats, stock quotes, games or any other possible thing you can think of, we’ve got you covered with our robust gateway. We have an open, multi-provider platform that will allow multi-users to all get their need fulfilled at once. Our network integrates seamlessly with all of the providers necessary to deploy a long and rich list of mobile services across different platforms. One of the nice features about using our service is that subscribers can initiate different USSD sessions using very flexibly assigned short codes. You can use your handheld mobile device and select from a menu or send a complete command using a single string and it will automate the request by using the USSD add-on and will satisfy all local user requirements before it sends it to the service carrier. It does this quickly and easily. The best part is you can automatically service any number of end users or providers using one central USSD management device. As you can see we are just getting started with our mobile capabilities. It is now easier than ever to send and receive payments on your phone or use any other multi use applications. Our guarantee to you is that we will continually strive to grow and better our business even though we are already at the top in our industry. We’re not arrogant; we are always striving to improve and are up for the challenge. We always want to be at the top of our game, but we realize that will take continual improvement and evolution for better and faster products and services. We are going to continue to push boundaries and improve our technological bandwidth and services so that we can provide your mobile solutions when you need them. The world will continue to evolve and change and our lives will continue to get busier and more complex. You can rest assured that Hypermedia will always be two steps ahead of you, paving the way to the future. To understand Call Center Conversion Rate, picture this scenario; it’s five thirty in the afternoon. You are at home, sitting back on your luxurious sofa, trying to relax after a long day at work. Suddenly the phone rings. You look down at the phone’s screen trying to recognize the number, it’s an unrecognized landline number not in your contact list. Would you pick up the phone? Well most of us wouldn’t. Landline numbers usually indicates that it isn’t someone we know, not a relative nor a friend. People nowadays tend to contact each other via their cell phone. A landline number mostly associates with a foreign, unwanted and disturbing entity, such as telemarketing offices, insurance companies, banks or some other annoying and unwanted instances you certainly don’t want to conduct after an exhausting and demanding day at work. This is not a made-up theory or a longshot guess. Some modern researches point out that this is actually a proven reality. People associate cellular numbers, (even an unknown one) with a private person they might know and therefore they tend to pick up the phone more frequently than a landline number. And that’s where the problem for call centers begins. The percentage of rejected and unanswered calls is in it’s peak since cellphones became so commonly used. Offices almost exclusively use landlines or PBX’s (Private Branch Exchange) to make their calls and for them this pointed above issue has become a major concern for their business. The Call Center conversion rates are bad. Another aspect for the recent rising of rejected calls, is the growing popularity of “ID Sharing” applications such as TrueCaller and ME. All it takes is one person to mark your office’s number as spam and you’ll be automatically marked as spam for all the user of that application. Landlines lack the flexibility to overcome this problem as the number is pretty much fixed. Changing your landline number requires applying to the telecom company, which is not a simple and easy procedure. And that’s where a “GSM Gateway” or a “SIM Box” come in handy. A GSM Gateway is basically a PBX, which takes calls from variety of interfaces and outputs them through the cellular network of the SIM installed in it (one or more). That procedure is called “Termination” where a call is routed from one source through a specific interface to another. In terms of Call Center conversion rate the immediate advantage of using such a gateway is obvious. By using such a device, we can camouflage our calls by sending them out through a GSM connection making them look more “innocent” and legitimate to the potential client and therefore achieving more probable “pickups”. Another major advantage with this solution is the ability to use “SIM Rotation”. Obviously as pointed above, after a short term of using this method, this cellular number will be “burnt” – marked as spam and therefore won’t be picked up when called through it anymore. As mentioned before, most GSM gateways comprise somewhere between 20 to 300 Sim slots (and sometimes even more). You can configure the GSM Gateway to randomly choose a SIM for a call, enlarging the possibilities and avoiding “burning out” too fast. Furthermore, the flexibility of changing a cellular number comes down to pulling out the existing SIM and replacing it with a fresh one – a matter of few minutes at most. No need to request anything from any telecom company and waiting for them to respond. HyperMedia systems is leading the market of GSM gateways. Our HG-4000 is one of the most sophisticated GSM Gateways out there. When it comes to the number of SIMs it can support, our HG-4000 supports up to 320 SIMs that can work in rotation, while 32 of them can run simultaneously. You can group 10 SIMs together and assign them to a specific incoming number, operating them as a unique and separated pool of numbers for the “SIM rotation”. HyperMedia’s HG-4000 also supports a variety of interfaces such as PRI, BRI and VOIP connections to connect the GSM gateway to your office. These interfaces can be used where one serves as the main connection while the other is used for backup or work simultaneously. It’s a matter of installing another interface card, depending on your specific requirements and needs. This solution may not be the cheapest in terms of initial cost or the easiest in terms of maintenance, but it can tremendously increase your “PTR” (Phone Through Rate) and eventually lead to a better conversion rate. There is no doubt that the return of investment for this product is guaranteed. This is indeed a major game changer in the world of call centers today. Don’t hesitate, contact HyperMedia and we’ll match you with a custom-tailored GSM Gateway, to suit your specific needs of increasing Call Center conversion rate for a very competitive price. Bulk SMS Marketing? Who the hell needs SMS today? 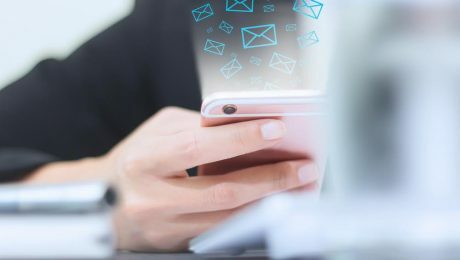 In our ever-advancing world, which yesterday’s new born technologies chase and eliminate technologies that were hardly developed couple months earlier, one may wonder whether an aging technology such as SMS has a right to exist using bulk SMS marketing. Well, there are not enough words to describe how wrong one might be. The number of ways to implement SMS nowadays seems endless! I’ll describe some in a glance. In a scenario where you run a business offering a service, which clients subscribe for a specific period. When the end of that period draws near, you have some options to retain them as customers. Some companies hire representatives who call them, a method what is both costly and ineffective; Some people do not like to talk on the phone or flat out refuse to do business that way. Perhaps the incoming call might feel imposing to the client or catch him at an inconvenient time, which will cause him to end the call abruptly without extending the service. A cost-effective and less imposing way to deal with that scenario is to send automated rich advanced texts to those clients via SMS with links to your website. This procedure is hassle free for the service provider and a lot friendlier to the client, as he can check that message in his own time, ensuring that this potential client will actually be motivated and moved to an action without bothering him too much. Banks – sending One-Time Passwords (OTP) to the customer’s mobile phone via SMS, utilizing it as Two-Layer security mechanism. Cab Services – sending updates to the clients with ETA of a cab or alerting them that it has arrived. Hospitals – automated scheduling and queue management. Colleges and Schools – notifications and reminders of events, tests and grades info. Automated Systems – online status monitoring and automated SMS alarms in case of crisis scenarios to the system’s admins. Lottery and Gambling agencies – sending automated notifications of winnings. Political Campaigns – updates on rallies or simply reminders to vote. Government’s emergency announcements –notification of severe weather or natural disasters. And so on, the number of uses for automated SMS systems are endless, and growing. HyperMedia Systems is amongst the world’s best bulk SMS and Sim Box solutions manufacturers. Hypermedia develops unique SMS Gateway, APIs and standalone SMS systems that allows you to send Online Bulk and personal SMS messages. HyperMedia’s bulk SMS marketing product were built with simplicity in mind to best fit customer’s needs, but we always had developers and integrators in mind. Thus, we’ve developed a very robust, open and flexible SMS API. Unlike other manufacturers, we don’t just send your messages, we give you a whole set of tools to manage and control your marketing campaigns, ensuring they are successful. Our web platform gives you plethora of advanced tools such as detailed reporting, scheduling, sub-accounts, permission control etc. Hypermedia supports a wide range of technologies and interfaces. In fact, we are very flexible with our clients implementing custom-made solutions to integrate with existing technologies and platforms the client may already own ensuring a smooth integration. Supports multi-user access with groups with custom permission levels. Web UI access for managing and customizing the SMS server in http/https access. Advanced and rich report system. HyperMedia has years many years of experience in the field of Bulk SMS and SIM servers. We strive to lead the market in every aspect with innovative solutions and competitive prices. Termination Business – How to start your own? First of all, Before we talk about Termination Business, let’s begin with a brief explanation on what “Call Termination Business” actually means. In the telecommunications industry, call termination is the process of completing a call on a specific network, after receiving it from outside of that network. In recent times, however, it has become synonymous with the process of replacing the majority of that call’s path with a cheaper one. This is a very brief explanation on what Termination Business offers. Let’s assume we want to make an international call from the U.S to Thailand. From the U.S it’s a Local wired phone line, whereas the Thailand end is a cellular phone. For simplicity’s sake, let’s just assume that the caller pays 1$ per minute, which is a rather expensive rate. The only thing left to do is to connect (terminate) this call to the destination cellular phone. We need a device connected to both the Internet and the local cellular network, which will receive that VoIP call and connect it to the destination number. That is where the Hypermedia VoIP gateway comes into play. So – back to our example: We can take the call directly from the caller in the U.S. or from his local landline provider, cut out the international carrier that still uses traditional, expensive, voice networks to connect its calls and replace it with a relatively cheap connection to the Internet (both in the U.S. and in Thailand) and greatly reduce the cost of the call. 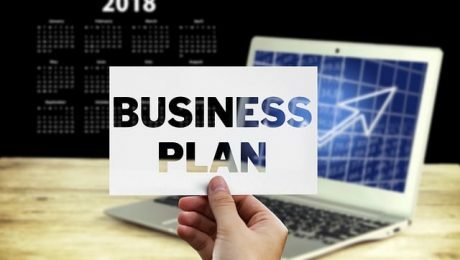 Now the big question arises: how does one make a business plan based on this knowledge and builds a working business according to these newly acquired concepts? In this article, we’ll try our best to help you understand the basic principles of building a Termination Business from the ground up. The first step is to verify there’s a demand for incoming international calls. Simply put, whether people are making business or personal calls to that country. An example for such a demand would be if we know that a certain country has a large community of foreign workers or immigrants from another country, who call their families back home. Another example would be extensive business ties between two countries. In both cases it will result in a large volume of calls between them. The next step will be to measure how much demand there is for calls, so we can estimate the potential size of the market and our Termination Business potential share in it. First, we need to examine how well do the cellular providers perform. Do they suffer from congestion during peak hours? Do they have reception problems in the area where we plan to set up your gateway? Do they have audio issues, problems with completing a call or have a lot of disconnects? It’s important to answer all of these questions, before choosing the local cellular provider(s) for our termination business. The next step will be to check the local cellular rates. As mentioned before, it is essential to our business plan to know in advance the costs for routing international calls within the country to a specific endpoint (cellular or landline), so as to ascertain it will be profitable. Even the best provider with absolutely no issues doesn’t help us at all, if it means we’ll have to pay it more than we earn. Once we’ve decided a specific market is profitable enough, it’s time to go deeper and check the interconnection rates between providers. As it is typical in almost every country, there is usually more than one cellular provider. We strive to lower our costs and therefore have to see what the costs for interconnecting calls between different operators are. 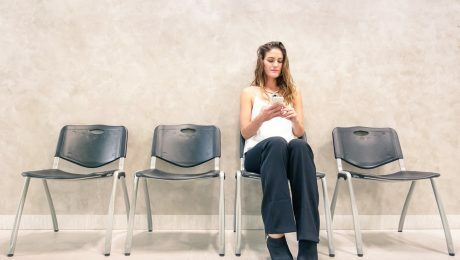 For example, in some countries it’s common to find providers offering plans with fixed monthly rates and unlimited calls for all local destinations – landlines, other cellular providers, etc. In this type of scenario we can use a single provider and install one SIM\line for every connection with no concern for the type of connection (landline, cellular) or the provider to which the destination is subscribed. In more complex scenarios, there is a variety of monthly plans for each provider. It could be customary for a specific provider to charge by the minute\second for all calls or just those outside of its network and have unlimited calls within it. Perhaps there could be different plans for weekends, specific time of day (lower rates for off-peak hours) or even specific population groups (the elderly, people who work for the emergency services, family plans, etc.) we should take this into account when making our business plan. In these scenarios, we need to install the appropriate hardware that supports variety of SIM cards/landlines. That will allow us flexibility when routing a call and help us reduce our costs and maximize our profit. We talked earlier (in the ‘Demand’ section) about locating countries which will have a large volume of calls to the country where we place or gateway. Now it’s time to check the costs of traditional international calls from those countries. Our Termination Business depends on offering the same service at a lower cost. After calculating our costs – both the Internet connection as well as the cellular provider – we can determine how much cheaper a call going through our gateway will be, compared to a traditional international call. In the example above we spoke of 1$ per minute for a traditional international call from the U.S. to Thailand. After all is said and done – we manage to complete that same call for 73 cents per minute and the difference is 27 cents. We offer the caller some of those 27 cents as savings and keep the rest as income. This is our whole business plan in a nutshell. Now that we understand the basics of a proper business plan for Call Termination Business , let’s get to the technical aspects of actually building it. We have to find an adequate storing space for our equipment. It could be anywhere that has power and an Internet connection; however – a professional hosting site like an ISP’s co-location or a server farm is highly recommended, as they provide continuity of services, like power and Internet connection, as well as providing climate control, site security, etc. The bare minimum is one squared meter with power and an Internet connection. The next and obvious requirement is that this storing space will be in an area with adequate cellular reception by some, if not all, local cellular companies. 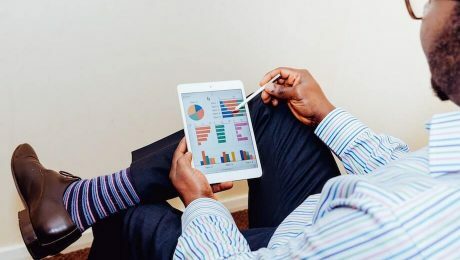 Without this we won’t be able to cost-effectively route calls to these networks, unless your business plan allows for the exclusive use of a PRI connection. To connect international calls to local landlines, it’s best to use a PRI connection from a local telecommunications company, unless cellular rates allow for the exclusive use of a cellular line, in which case you’d be able to cut down your monthly expenses by forgoing the PRI connection. Note that in certain places these types of connection can only be installed in main business areas, as a matter of policy or due to technical constraints. A high-speed symmetrical internet connection with a low latency is highly recommended. The required bandwidth should be based on your estimate of the amount of concurrent calls the gateway is expected to handle and we’ll discuss on how to calculate the needed bandwidth in a separate article. Next, we’ll purchase SIM cards from the cellular companies that offer the best coverage and prices in the vicinity of our gateway’s physical location. In the vast majority of cases we’ll prefer to use more than one company. Based on all of the above, we’ll purchase the proper hardware from Hypermedia. A Gateway with cellular cards and if you want to connect to a PRI and not only use cellular, you’ll require a gateway that also has one or two PRI ports. After we completed our checklist, we’ll configure and optimize our hardware to route the call in the most cost – effective way. The Hypermedia Gateway can be configured so that when a VOIP call reaches it, it will be analyzed by source and destination and routed accordingly. For example, a VOIP call which is addressed to a specific cellular provider will go out a SIM purchased from that same provider, in order to keep the costs low. Furthermore, the hardware chooses by default to connect the calls in a way that will maintain the best quality possible. Once we have accomplished all of the above and have a functioning service that can provide call termination, it’s time to offer it to potential clients. How do we advertise to the world that we provide such a service? How do we get calls to be sent to our hardware and provide us with revenue? Well, it’s not as hard as it seems. Actually, there is a strong demand by telecommunication companies around the globe for just such services that allow them to connect their calls for a lower cost. We’ve established a route to a specific country, and all that’s left to do is to contact these telecommunication companies and draw their attention to our service. Trust me, if you can lower their cost by even a few pennies per minute, they will be excited to hear about it. How do I get their attention? How do I approach them? There are conventions and exhibitions around the globe specifically for this type of industry and these companies send representatives looking for service just like yours. There are also special Internet forums discussing local services, offering routes or looking to buy them. Telecommunication companies usually scour those forums, so you can advertise there and they will approach you, even sooner than you might expect. The billing period for payments in this business is usually weekly or monthly. At the end of the agreed-upon billing period, the operator sends payment for the amount of minutes that were transferred through your route. The most common methods of payment are PayPal or a wire transfer, but any conventional method of payment in e-commerce can probably be used. And that is basically it! You can now start and run your very own call termination business. Locate suitable Business Location with the needed infrastructures. TeleManager Technologies Inc.was founded in 1997. The Headquartersreside in Newark, NJ and is located on the campus of the New Jersey Institute of Technology. TeleManager offers pharmacies IVR and telecommunication solutions that leverageexisting and future technologies. Telemanager’sgoal is to provide patients, prescribers, and staff with simple and effective ways to satisfy their respective communications and service needs.Telemanager services thousands of pharmacies throughout the USA including independent community pharmacies, small and large chains, hospitals, clinics and institutional facilities. Three key factors facilitated choosing an SMS customer premises gateway. 1. Telemanager required a secure and efficient way to send real time notification to customers of any respective pharmacy viaSMS. The key factor forusing Customer Premises Equipment was the ability to secure the end user (SMS recipient) database behind the data center firewall rather than export it to a third party out of concern forpatient medical privacy. 2. A second key factor is the ability to utilize a multi SIM device housing SIMs from carriers throughout the US to maximize the savings on the cost of sendingSMS. 4. Scalability of N+1 to large numbers under one management system The aforementioned notifications to the end user included messages notifying that the prescription is ready, pick up notifications, prescription expirationnotifications, auto re-fill reminders, periodic medical test reminders relating to specific medications, warnings and recalls on medications, new information on medications, new medications for specific patients, new test results on medications and more. At the same time Telemanager wanted to use the platform to send subtle marketing promotions and receive an Interactive Response for the marketing promotion prompting the recipient to buy goods or services. Telemanager utilizes the HG-7000 series Gateway, connecting via the Hypermedia SMS Pro Server’s (HG-7100) robust API to the Telemanager secure application and thus provides a seamless connectivity and near real time messaging to over 350,000 customers nationwide. The system is connected to over 4000 pharmacies throughout the USA as of end of 2011. The SMS services were offered at no additional cost to each customer of each pharmacy as a way to provide better customer service and foster better customer loyalty to a specific pharmacy. From a survey conducted by Telemanager with 10 pharmacies, it turned out that there was an average increase of close to 30% in revenue derived from those customers that subscribed to the service. The survey also revealed that the customers were delighted with the service and are becoming an “Educated Consumer” thus spending more $$ per single purchase taking advantage of promotions and special offers. © 2005-2017 All rights reserved. Interested in sending mass SMS messages with no restriction? Contact Us for a game changer solution !